Stock# - 12657 Country Rooster Kitchen Rack - Attractive overhead rack puts your pots and pans right within easy reach, a must have for any serious chef! 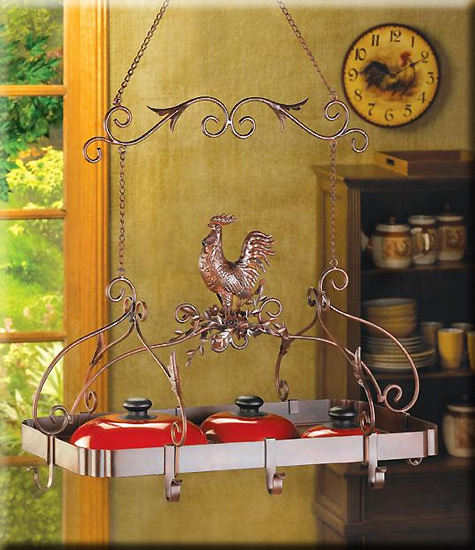 Jaunty rooster and scrollwork theme and rich rust-red finish add informal elegance to your kitchen.Iron. Contents not included. Some Assembly Required. 23" x 15 3/4" x 34" high. 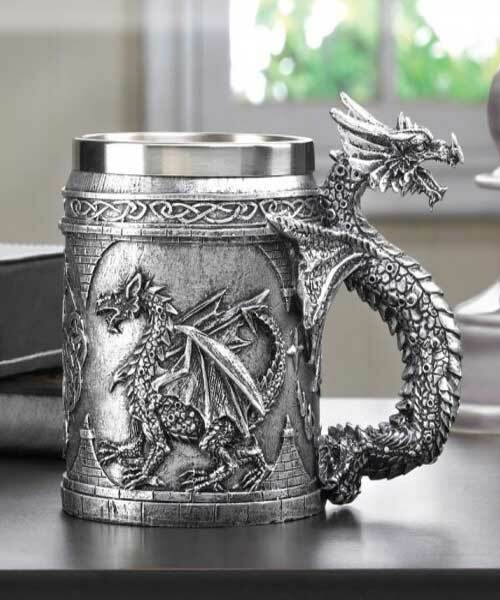 Stock# - 15132 Serpentine Dragon Mug - This medieval-inspired mug is the most intimidating way to keep your items in order as a serpentine dragon guards your writing quills or your collection of coins stored within. Fully decorated with dragon reliefs and Celtic symbols, this mug will bring out the true warrior in you as it rests on your desk or bookshelf. 5 1/2" x 3 7/8" x 4 3/8" high. Poly resin and stainless steel. Hand wash only.